Check this ouuuuut! 100 followers! Wow. Thank you to you all! How exciting! 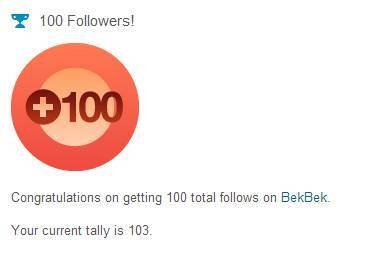 Thanks to all those who are following my blog, I appreciate all of you!